Chatham Mazda | Why Buy a Certified Pre-Owned Vehicle in Chatham, Ontario? Home > Headlines > News > Why Buy a Certified Pre-Owned Vehicle in Chatham, Ontario? Why Buy a Certified Pre-Owned Vehicle in Chatham, Ontario? Buying a used vehicle comes with all sorts of unknowns. How did the previous owner treat the vehicle? What repairs and general maintenance orders are soon due? And if you’re buying through a private sale, what important details might the seller not want me to know? Spend a little extra for your own peace of mind. 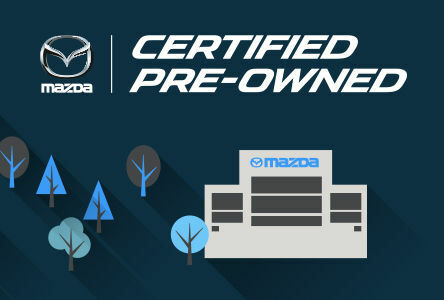 When you see the Certified Pre-Owned label on one of our used vehicles at Chatham Mazda, you know that the quality and reliability of this car or truck stands above the rest. To qualify for this special status, each vehicle must first pass a rigourous multi-point inspection to ensure that the interior, exterior, safety, and drivability of the vehicle are up to our highest standards. Such vehicles then qualify for lower finance rates and more affordable warranty coverage. Any other points of concern have been repaired and reconditioned, often leaving the vehicle better than new. Read on to discover more benefits of buying Certified Pre-Owned. What do you get when you buy Certified Pre-Owned? When you browse through our Used Vehicle Inventory to shop and compare among our Certified selection, don’t be misled by the slightly higher price tag. Certified Pre-Owned vehicles actually save you money compared to other second hand vehicles. Here’s why: On top of the peace of mind you get by choosing a Certified Pre-Owned vehicle from Chatham Mazda, the vehicle inspection, special finance rates, and extended warranty carry added value that many people forget to account for over the first few years of new vehicle ownership. 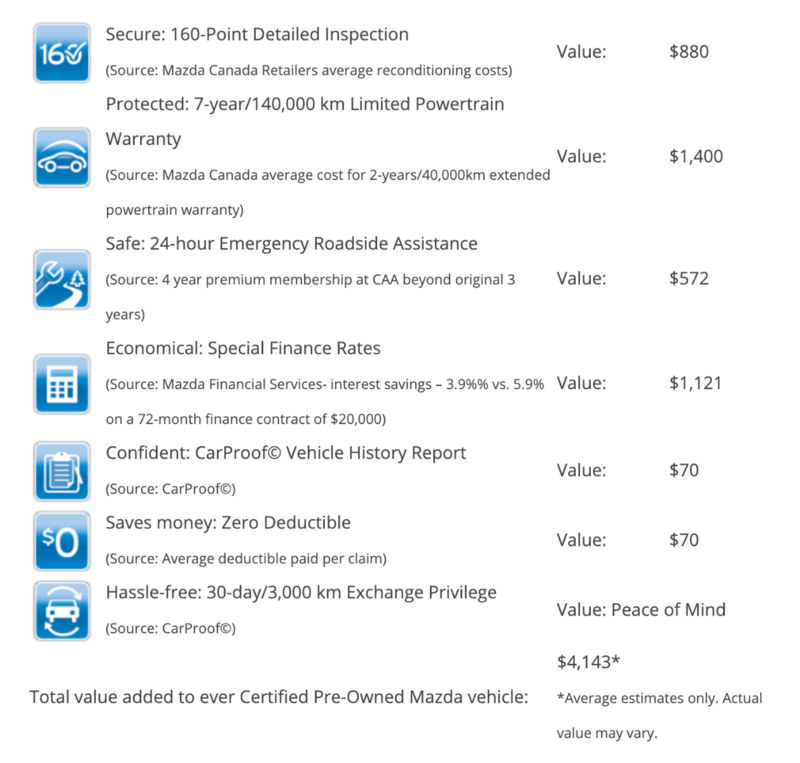 Mazda Canada estimates the total savings to be at least $4,100! Keep in mind, once these vehicles are sold, they’re gone. Hurry and book a test drive today!